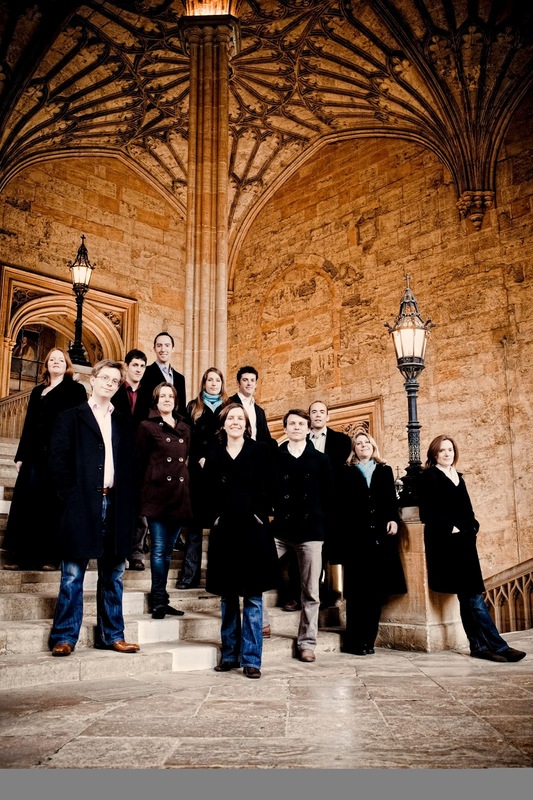 The 2015/16 is the vocal ensemble Stile Antico's 10th anniversary, and is being marked with series of celebratory concerts and a re-issue of the group's debut album, Music for Compline. As a taster of this, the group revisited this repertoire in a concert at Christ Church, Spitalfields on 5 June 2015 as part of Spitalfields Music's Summer Festival. The ensemble sang a variety of works by William Byrd, John Sheppard, Thomas Tallis, Robert White, William Mundy, Christopher Tye and John Tavener. Most were in Latin and set psalms and canticles used in the service of Compline, but some were in English coming from the early years of the Anglican church as the reformers re-purposed the texts for new uses such as the newly created Evensong service. The evening ended with John Taverner's great votive antiphon Ave Dei patris filia. 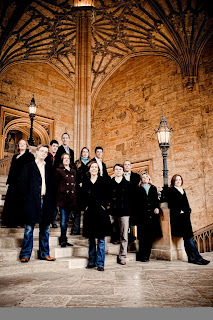 Stile Antico is a 12 person vocal ensemble (with women on the alto line) which sings without a conductor (Helen Ashby, Kate Ashby, Rebecca Hickey, Emma Ashby, Eleanor Harries, Katie Schofield, Jim Clements, Andrew Griffiths, Benedict Hymas, Will Dawes, Tom Flint, Matthew O'Donnovan). They perform in a half circle, with the voice types mixed up. Their performances are characterised by the evenness and purity of the vocal lines (it helps that two thirds of the soprano line is taken by twin sisters) and the sense of constant watchfulness and non-verbal communication between the singers. Such is the degree of communication between the singers, performances can sometimes feel that we are eavesdropping on an intense personal event, rather than receiving a performance directed at us. And perhaps the group acknowledges this to a degree, as members of the group always introduce the various items in the concert. They opened with William Byrd's devotional madrigal, I laid me down to rest and slept which dealt with the same issues as rest, sleep and the terrors of the night which Compline did (Compline being the final service of the day in the Monastic hours). This introduced us to the profoundly beautifully and shapely sense of line, allied to a deep calm, which the group imbued this music. Their tuning is always very fine, and throughout the concert we had the beauty of the suspensions and false relations which were beloved of composers of this period. The Byrd was followed by John Sheppard's pair settings of the antiphon Libera Nos the one being a faster faux-bourdon of the other. Quite how the two were meant to be performed is still open to question, but they make a fine pairing. Here they received a quiet contained performance with a lovely sense of still, slow unfolding. Following the plainchant Veni Domine, we hear Thomas Tallis's antiphon In manus tuas which had a beautiful rich texture which the performers imbued with a steady calm beauty. Robert White's is still a relatively unsung composer of the period and deserves to be heard more. His hymn Christe qui lux et dies like many Compline hymns dealt with issues of dark and light (Christ who art the light and day). As with all Latin hymns of the period, plainchant verses alternated with polyphony. And it was noticeable how from the very first polyphonic verse White's sense of harmonic movement was rather greater than in the previous pieces. This intensified in each polyphonic verse so the last one was quite dynamic and passionate. Along the way we got some wonderful spicy false relations. Thomas Tallis's In pace was sung by the nine lower voices, with the three sopranos singing the plainchant refrain from the back of the church. By using just lower voices were got a lovely dark, rich timbre with a smooth blend of many complex parts. William Byrd's Nunc Dimittis sets a canticle used in Compline, but comes in fact from the Gradualia and is for the Feast of the Purification. Byrd brings the same rich texture as Tallis, but adds to it a greater emotional punch which the singers took great advantage of. Moments like 'lumen ad revelationem' were profoundly lovely, with both composer and performers working magic with apparent ease. William Mundy is best known for his complex Latin music written for the reign of Queen Mary, but his O Lord the maker of al thing is a setting of an English paraphrase of the Compline hymn Te lucis ante terminum, now recast as an anthem for Evensong. The text setting is far more syllabic than his Latin polyphony, but Mundy still produces some interesting polyphony. It was sung by just eight singers (two choirs of four) and Mundy made interesting use of the two groups in dialogue for emphasis. John Sheppard's hymn Jesu salvator saeculi returned us to Sheppard's familiar Latin sound-world with its high sopranos. (English trebles of the period were famous for their high lying lines and music by English composers for the multi-national Spanish/Flemish/English choir which sang at the wedding of Queen Mary and Prince Philip of Spain is famously narrower in compass than the contemporary works intended for just the Chapel Royal). The first two plainchant verses had a lovely sense of fluid movement, whilst the last one was a glorious explosion of triple time fun. Only the tenor part of Sheppard's English setting of The Lord's Prayer survives, luckily a parallel version for viols has survived complete (scholars speculate that this may be the original version) so the anthem has been reconstructed. It had quite a low soprano part, yet still a surprisingly complex texture for an English work of the period. All was beautifully poised from the singers. We then heard a trio of Miserere settings. First the plainchant Miserere mihi, Domine, and then the paired works by Tallis and Byrd, Miserere nostri, Domine (Tallis) and Miserere mihi Domine (Byrd). Tallis's work is profoundly complex with a multitude of multiple canons which Tallis renders with effortless ease into a work of profound beauty. The sheer complexity of the various textures, rather ironically, give the whole work a rather static feel. By contrast, Byrd's setting which is only marginally less complex in structure than that of Tallis has a real sense of development and power. The plainchant Salva nos, Domine was followed by Christopher Tye's setting of a very early English version of the Nunc Dimittis text (before it has been standardised, and here the final Amen is translated). There was a lovely clarity of texture and the singers cantoris/decani type division with two groups of four alternating with all twelve singing in key moments. The reduction down to just one voice per part meant that we got a lovely sense of the singer's individual personalities coming out. John Sheppard's respond In manus tuas was sung by eight low voices. Whilst I did miss the familiar sound of high sopranos in this work, I loved the dark creamy texture which this transposition brought. Thomas Tallis's hymn Te lucis ante terminum brought a strong contrast between the chant which opened and closed the piece and the warm harmony of the middle polyphonic verse. The Compline service would conclude with the singers moving to the Lady Chapel to singing a Marian antiphon so here Stile Antico finished the evening with John Taverner's great antiphon Ave Dei patris filia which lasted around 15 minutes. Taverner sets large chunks for just solo voices in the early Tudor manner, creating some lovely textures with some lovely creamy TTB and TBB trios, and a lovely SSA trio with transparent clarity of sound. These trios were punctuated by Tutti sections and the final ST duet concluded with a tutti Amen, reaching a strong and powerful climax. For most of the programme I had found the performance profoundly beautiful, finely done but perhaps a little too calm and undemonstrative. This may have been because of the singers concern to reflect the ethos of the Compline service, or perhaps a concern to blend together. In the Taverner, we moved out of Compline proper and we had lots of individual voices; for whatever reason, this was a far more demonstrative performance with a greater sense of individual lines each with a vital sense of life of their own, all highly energised. Regarding the presentation of the concert, I did think that Stile Antico could have taken a leaf out of Chapelle du Roi's book. Alistair Dixon and Chapelle du Roi give an annual Tenebrae concert at St John's Smith Square and during the second half the lights are gradually lowered. I think that this would have been a profoundly evocative way to conclude the concert. As anyone who has attended the Eddington Festival of Music within the Liturgy can testify, hearing Compline in a candle-lit near dark church is a profoundly magical way to hear profoundly magical music. I suppose the answer is to buy the CD (see the advert below) and listen with the lights off!